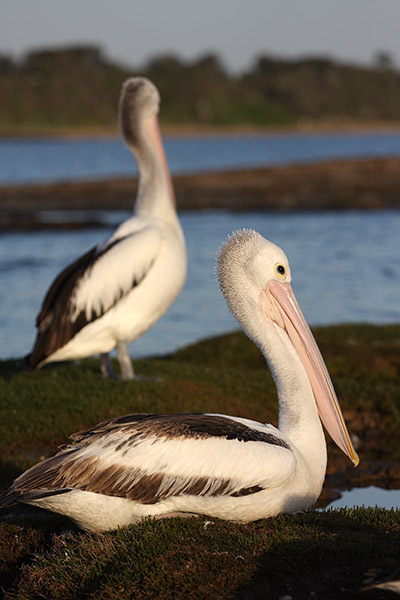 Contrasting views from the beach at Jam Jerrup, Victoria, Australia. 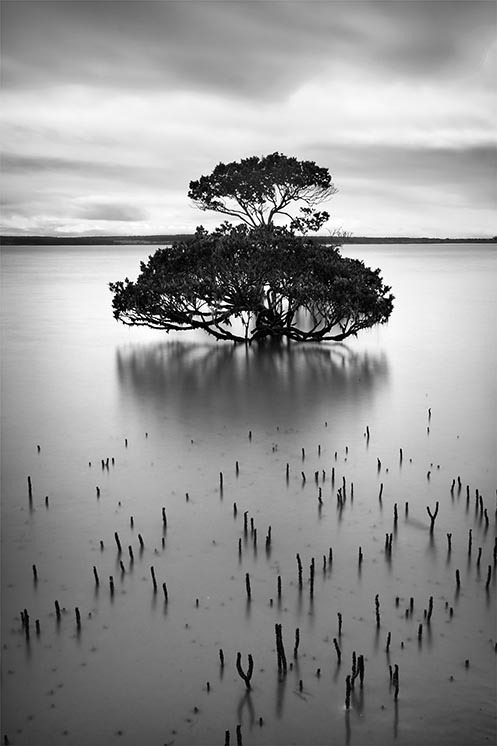 It’s interesting to see how different a location can appear under different light and tidal conditions. This is exactly the reason why I like to return to the same places many times. 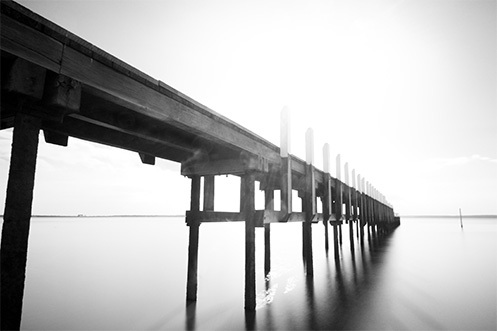 Below – “Aspirations” is a minimalistic long exposure image taken at high tide. 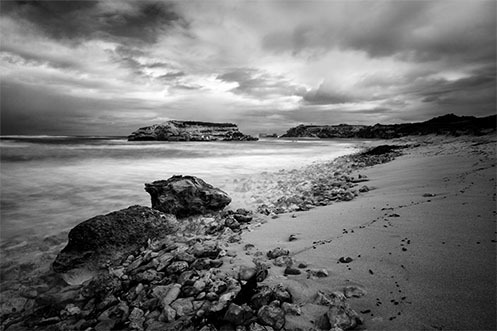 Below – “Blunderbuss” is a wider view of the same area taken at low tide with some more drama taking place in the clouds. 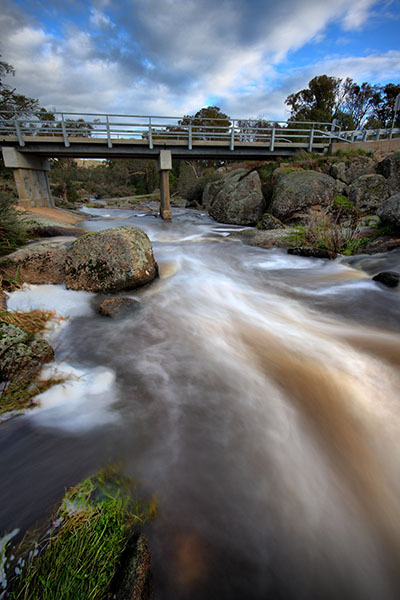 Below – “Exploring the Meme” is the boat ramp and single post at Jam Jerrup. A Photo Exploration of Grantville beach. 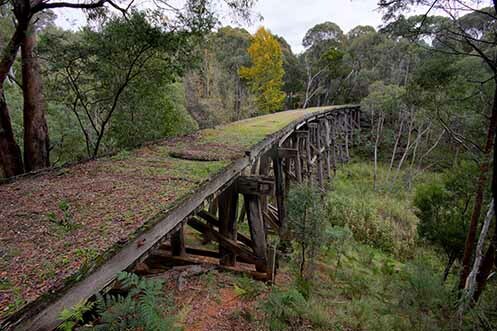 I visited Grantville the day after Victoria had been hammered by unusually high rainfall. Apparently the extreme rainfall was a side effect of cyclone Yasi’s passage across Queensland and into central Australia. With the worst of the rain over, the day provided some beautiful photographic conditions with the sun filtered through an interesting arrangement of constantly changing storm clouds. I love the beach down this way. Each time I visit here I discover something new. 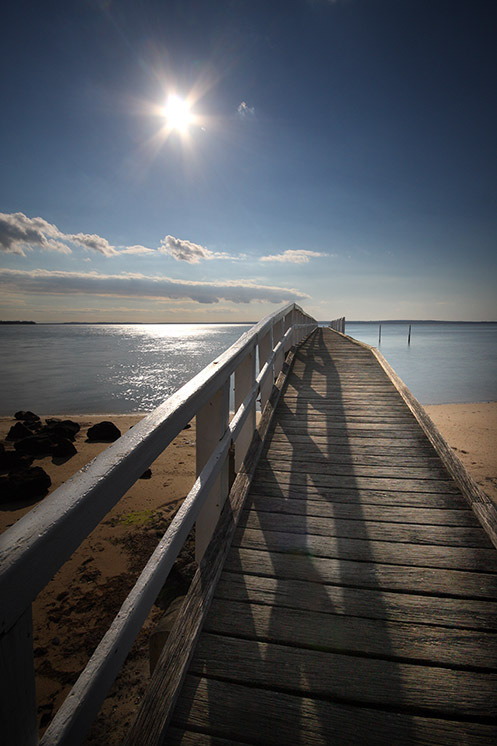 Below – “Purge” a storm water drain running into Westernport Bay. 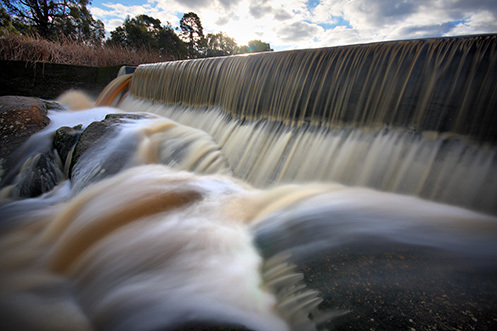 For those who are interested in the technical details, the drain images are constructed using HDR tone mapping techniques. 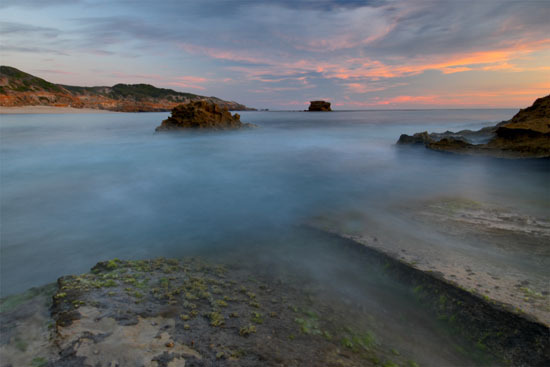 The long exposures were achieved using a combination of ND400 and ND8 filters on the end of the lens to smooth the waves on the water. 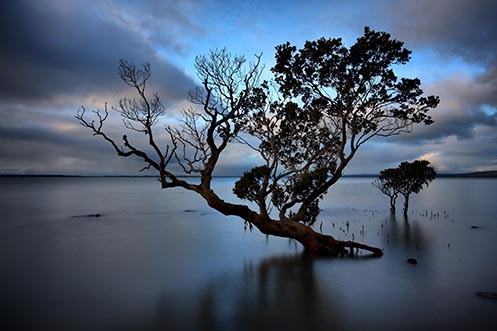 Below – “Running from the Idols” – another drain dumping water into Westernport Bay. 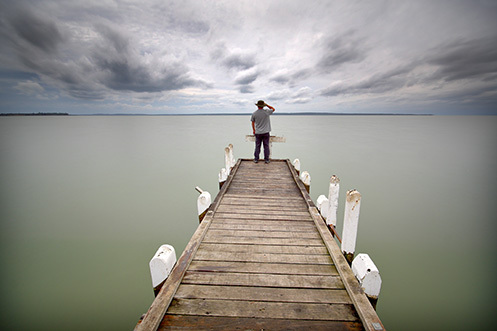 Below – A long exposure self portrait, standing at the end of the Grantville jetty. 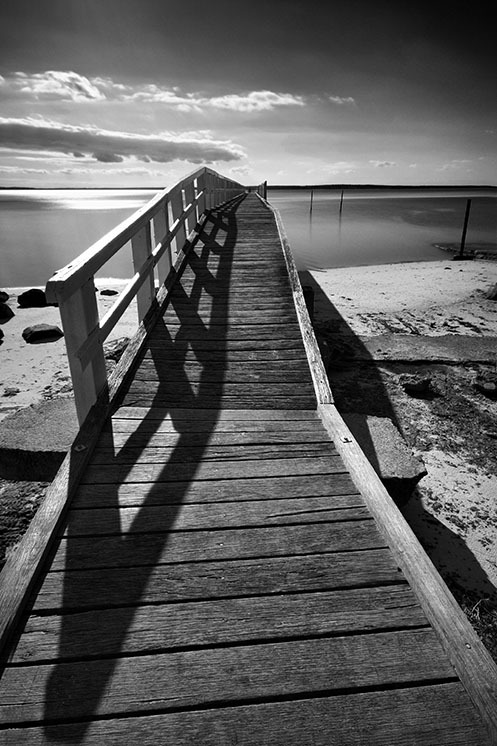 Below – “Grantville Jetty” – a view from the jetty looking out towards the boat ramp marker posts. 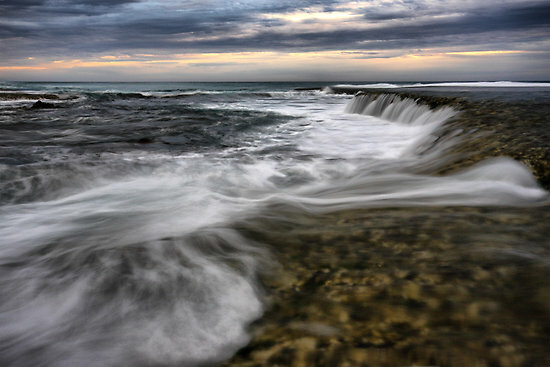 Below – “After the Rains” – a long exposure image from Grantville beach as rain clouds exit. An old boat trailer sits semi-submerged in the foreground. I visited the town of Beachport just prior to the summer “silly season”. This provided me the with the opportunity to explore the area without the usual crowds of holiday makers cluttering up the splendid beaches. The town sits on the end of a small cape with one side facing towards the open ocean and the other side facing more towards the mainland providing a relatively safe harbour area and calmer beaches. 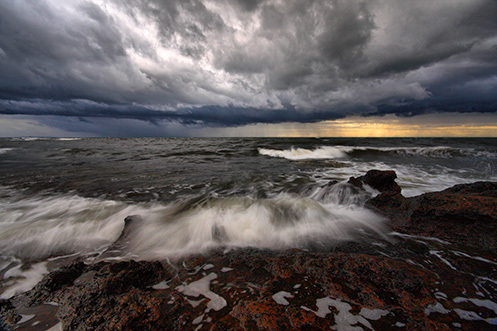 Below – Thar She Blows – a storm approaches Beachport from the ocean. 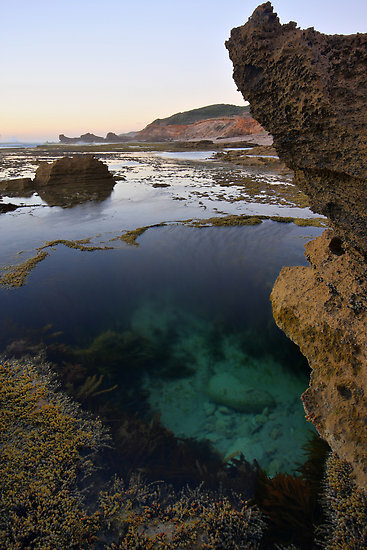 Below – The Pool of Siloam at Beachport contains water which is claimed to be seven times saltier than seawater which makes floating really easy. The pool is fed by underground springs. Below – Back on the rougher ocean side Post Office Rock at Beachport provides some nice wave action. I lost a pair of runners and socks here to an unexpected wave. 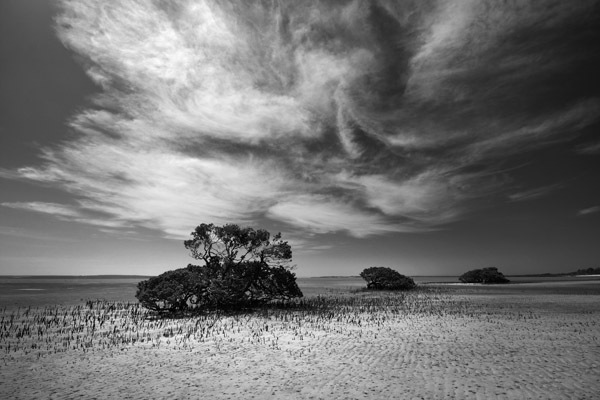 Following are a few images from Meningie, on the banks of Lake Albert in South Australia taken in December last year (2010). I was told by the Bev at the Lake Albert Motel that the lake has only recently recovered from the drought. Apparently for some time there wasn’t water anywhere near the jetty pictured below. 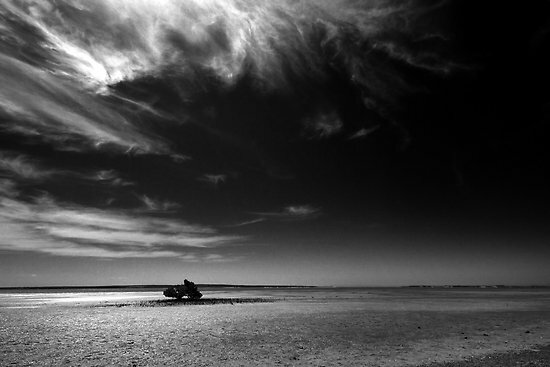 Below – Traces – Meningie, South Australia, Lake Albert. 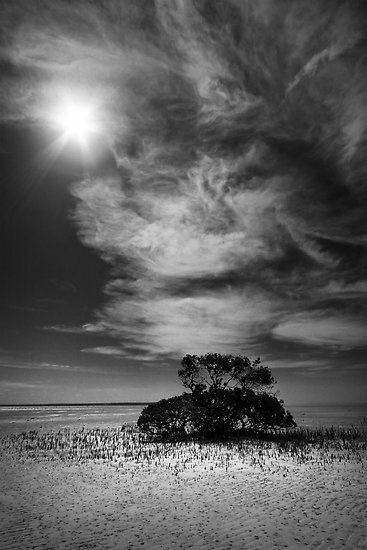 Below – Rise and Fall – Meningie, South Australia, Lake Albert. I have no idea what those posts are doing out there in the water. 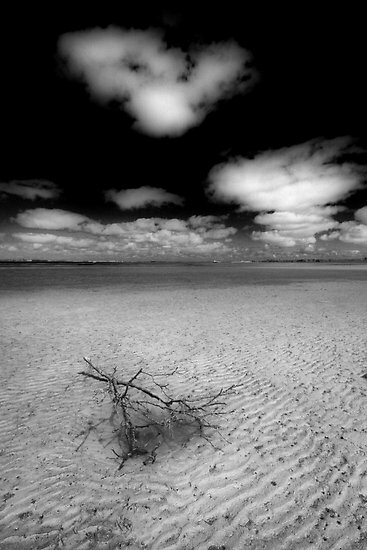 Below – Aspects of Abundance Meningie, South Australia, Lake Albert. Below – Meningie Some wonderful action going on in the clouds here. Below – Unbreakable – The second most sturdy piece of outdoor furniture I’ve ever had the pleasure of sitting on. 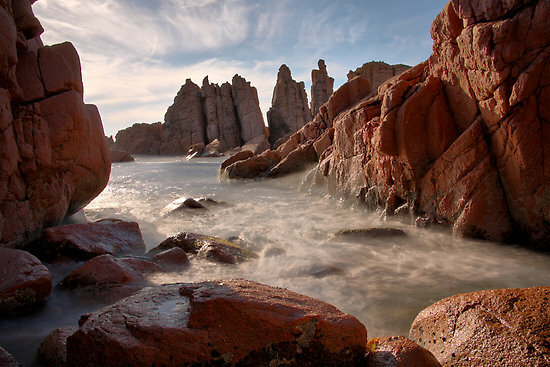 Following are some images from The Pinnacles rock formation at Cape Woolamai on Phillip Island. We were hoping for some nice big waves but unfortunately the conditions conspired against us that day. 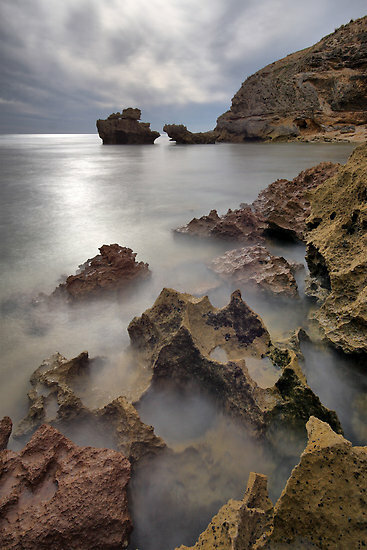 The images were created using HDR techniques to capture the full dynamic range of this very contrasty environment, i.e. 3 bracketed exposures at 0,-2 and +2 EV. 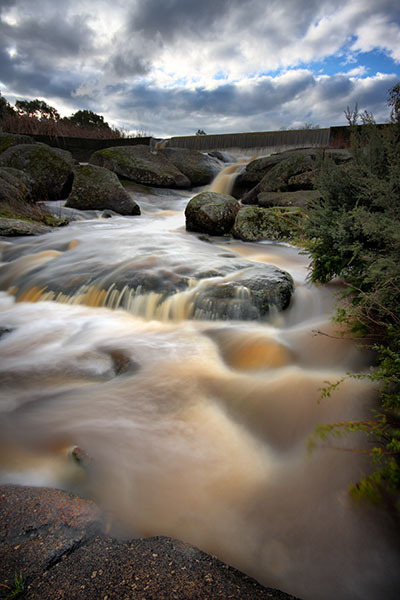 I had an ND400 neutral density filter on the front of the lens to allow longer exposure times and give some sense of movement to the water and clouds. Here’s a selection of colourful bathing boxes at Safety Beach, a bayside suburb on Port Phillip Bay, Victoria. The bathing boxes are privately owned beach sheds generally owned by Melbourne’s more wealthy people. If you visit the windows of local real estate agents you can find some of these bathing boxes for sale at ridiculously high prices. Lolly Boxes 1 – Safety Beach, Port Phillip Bay, Victoria, Australia. Lolly Boxes 2 – Safety Beach, Port Phillip Bay, Victoria, Australia. 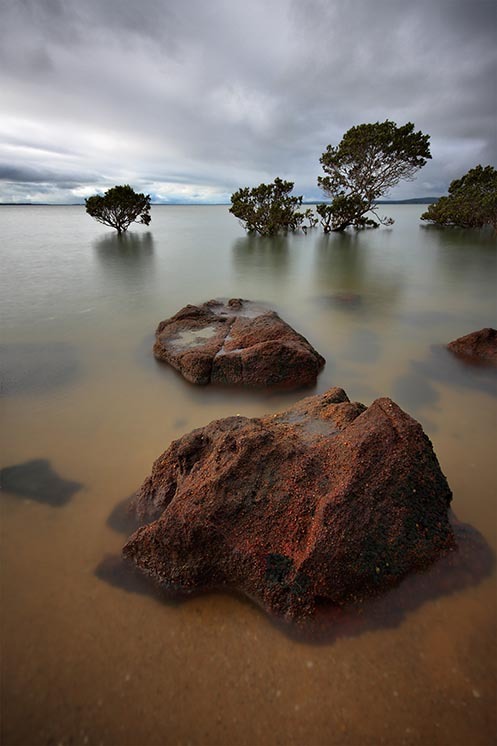 Lolly Boxes 3 – Safety Beach, Port Phillip Bay, Victoria, Australia. 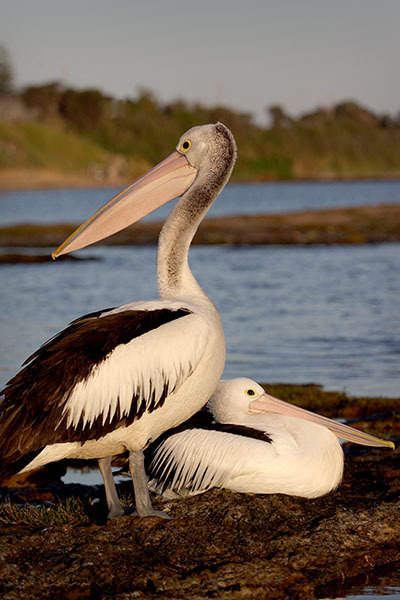 Ricketts Point is a marine sanctuary located south east of Melbourne in Port Phillip Bay. 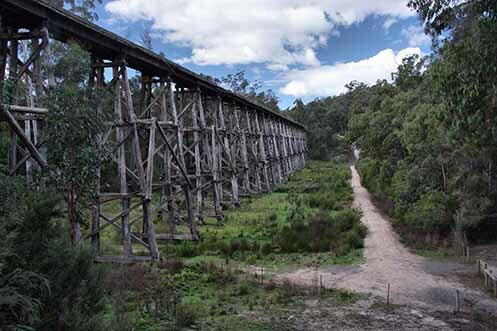 When viewed from the land it’s an unremarkable looking series of sandstone rock platforms. Apparently under the waterline the platforms support a great diversity of flora and fauna. 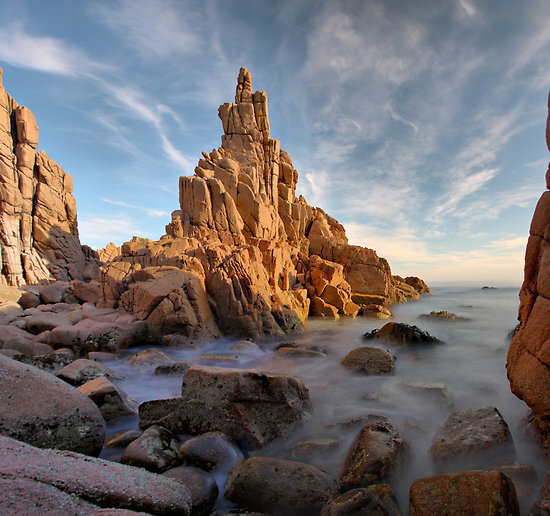 When viewed from a land-based photographer’s perspective the area looks pretty ordinary during bright daylight hours. 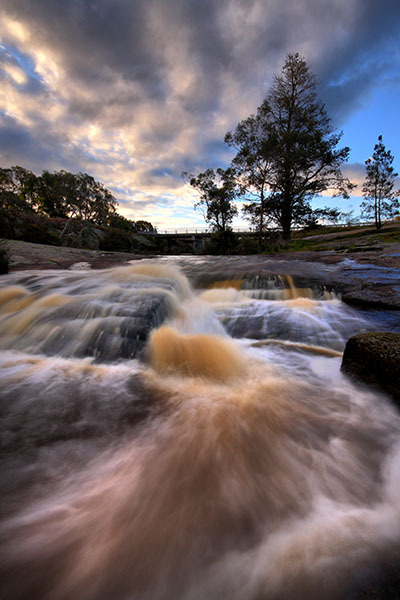 Towards the evening the area becomes more attractive as it provides an unobstructed view of the setting sun and also provides some foreground interest in the form of waves swirling around rocks at the edge of the platforms. 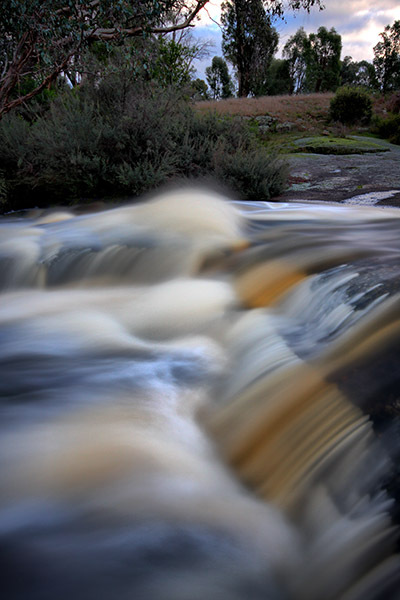 This provides a good opportunity to catch some nice long exposure images. 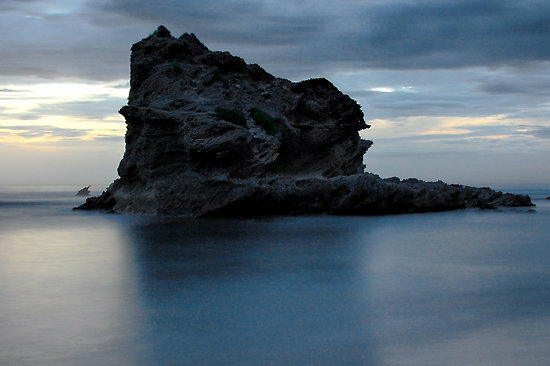 Prior to the sun setting, the rocky platforms serve as a meeting place for several species of birds. 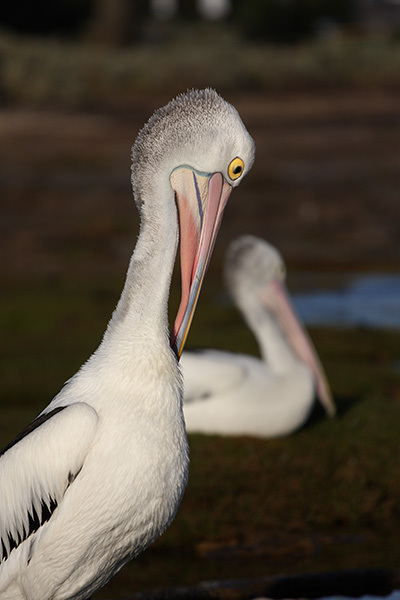 Amongst them are a very tolerant group of pelicans. They don’t seem to mind people getting relatively close to them here which provides a nice opportunity for bird watchers and photographers. 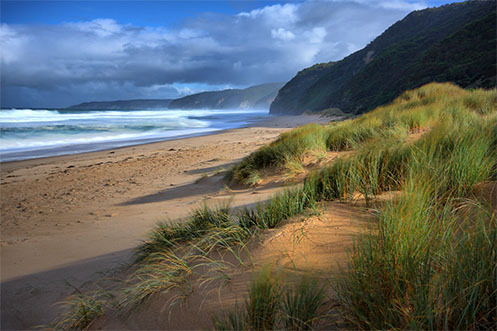 Cape Liptrap is located on Victoria’s south east coastline overlooking Bass Strait. On the high ground just back from the pointy end of the cape sits the Cape Liptrap lighthouse. Below – “Warrior of the Dark” available as a print here. Below – “Night’s Witness” is available as a print here. If you enjoy real excitement, and don’t mind a bit of exercise, it’s worthwhile to jump the fence at the lighthouse and walk/slide your way out to the pointed cliff. 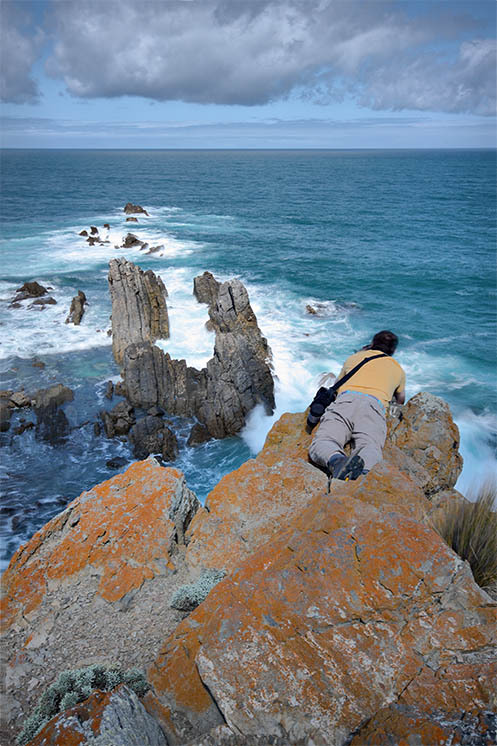 Peering over the edge of the cliff you’re greeted by an amazing rockscape being pounded by the violent waves of Bass Strait. The scene is captivating but I wouldn’t recommend it if you have a real fear of heights. Below “Vertigo – Over the Edge” available as a print here. Below – a friend perched on the edge of the cliff enjoying the scenery and of course taking some shots. 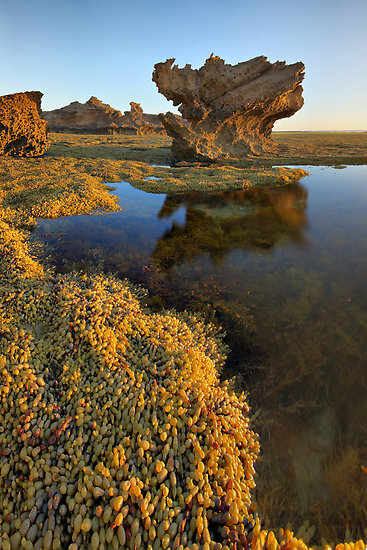 Following is a short series of seascape images taken on a recent trip along the Victorian/South Australian coastline. 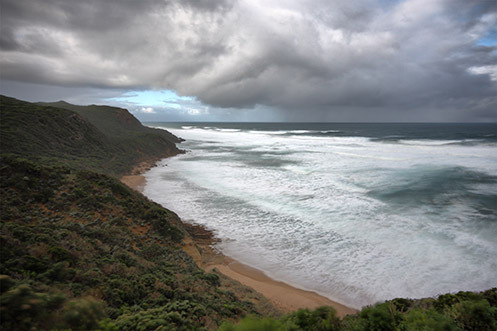 Below – The Great Ocean Road – just south of Lorne, Victoria, Australia. Notice the skid marks on the road at the bend, …this road is a popular tourist route attracting visitors from all over the world. Some of these visitors unfortunately forget that we drive on the left side of the road in Australia. This causes all sorts of drama. 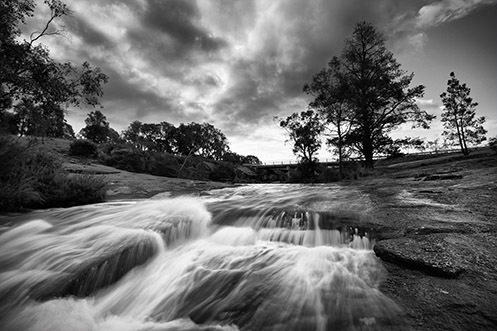 Below – Along the Edge – A view of the incoming storm from the lookout at Glenaire, Victoria, Australia. 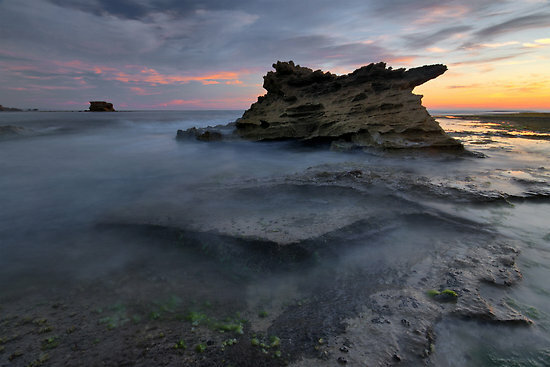 Below – Bay of Martyrs – A long exposure image from down on the beach at the Bay of Martyrs, on the Great Ocean Road, Victoria, Australia. 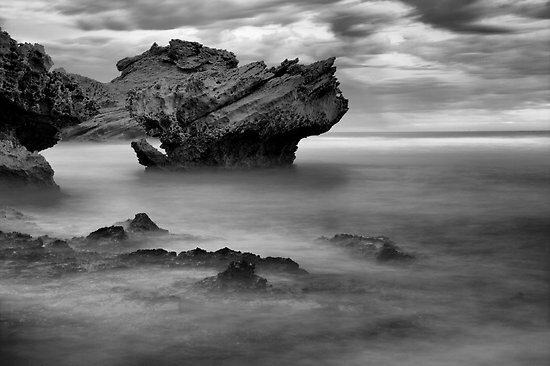 I was attracted by the unusual shapes that the ocean had managed to create with the foreground rocks here. 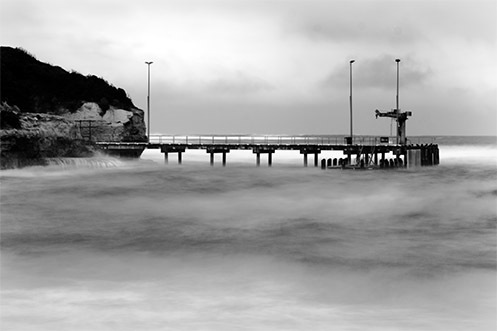 Below – Storm at Port Campbell Pier – a long exposure image made during a stormy morning at Port Campbell pier. This pier really has quite a hard life being continually hammered by waves from the open ocean. 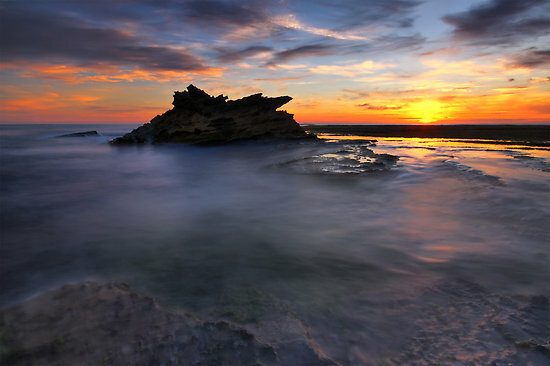 Below – Johanna’s Morn – The morning sun starts to warm the sands of Johanna beach, Victoria, Australia. 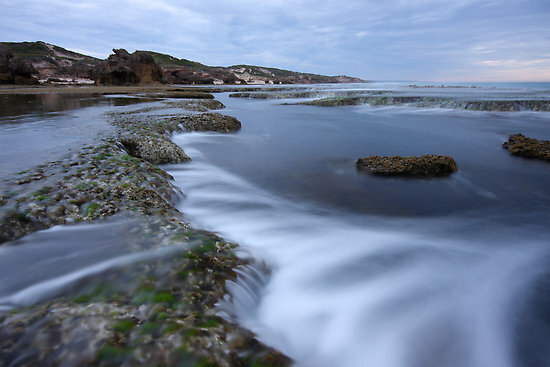 Below – Her Deceptive Charm – A long exposure image from Cape Northumberland in South Australia. 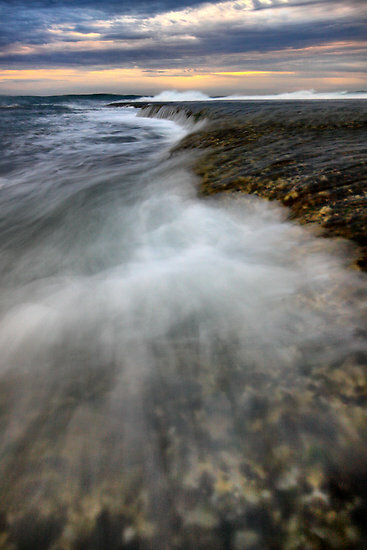 The waves were really ripping into the rocks here, …….although the image looks deceptively calm due to the long exposure time. 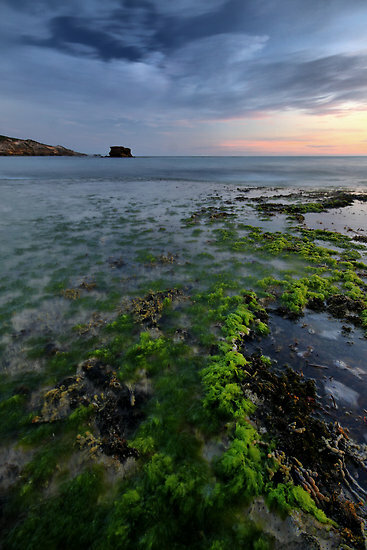 Below – At Ocean’s Edge – On the beach at Cape Northumberland, South Australia. 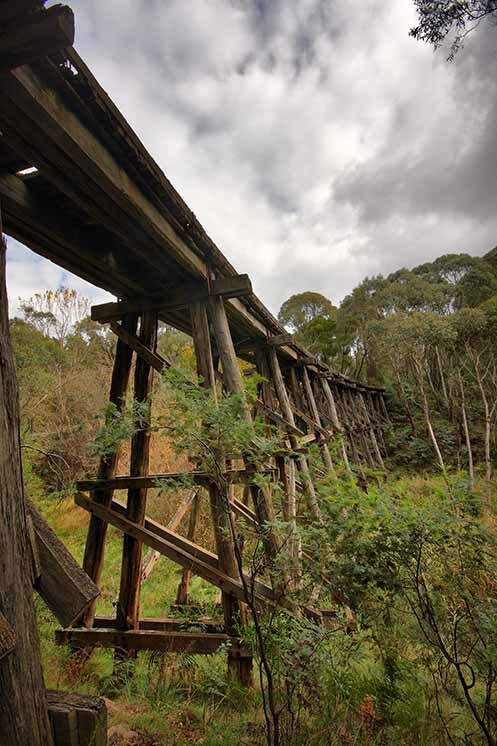 Abandoned, dilapidated, derelict, decayed and once loved. 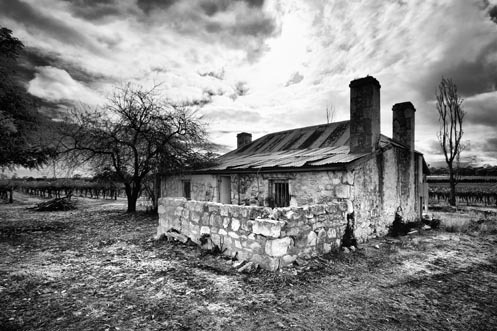 Following is a collection of farmhouse images taken on a trip through western Victoria and South Australia. 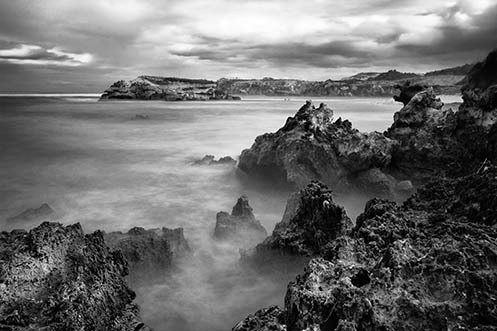 Initially I intended to take a lot of seascape images on this trip but the rain and sheer cliffs along the Great Ocean Road often conspired against me. 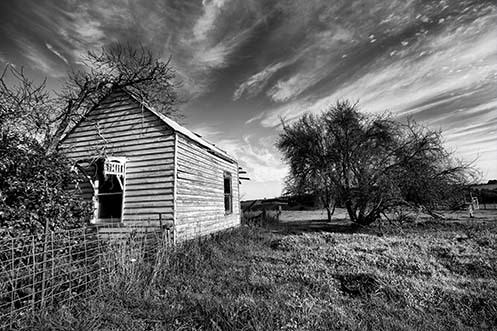 As the journey progressed I found myself becoming more interested in the landscape including the many vacant derelict buildings scattered along the way. 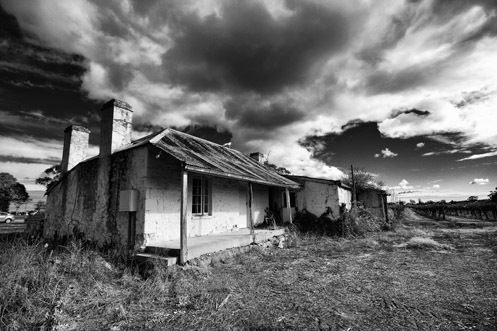 Below – “Shambles” – A deserted farmhouse at Byaduk North, Victoria, Australia. 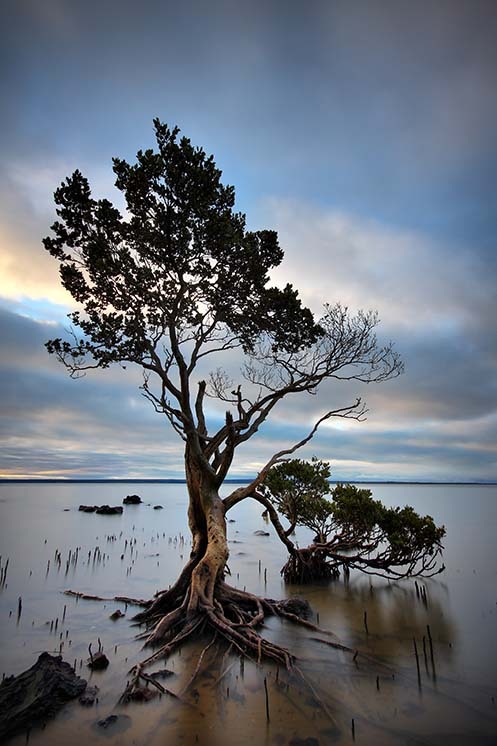 Below – “Out the Back” Byaduk North, Victoria, Australia. 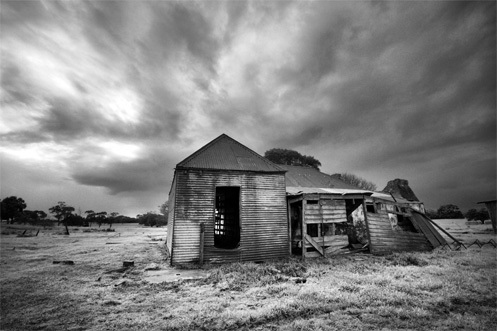 Below – “The Love Shack” – Found along the road north of Port Fairy, Victoria, Australia. There is also a colour version of the Love Shack here. 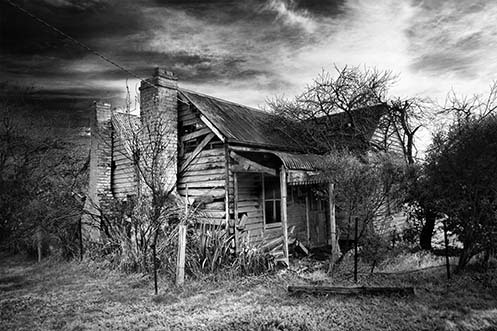 Below – “Spiders n’ Snakes” – an abandoned house along the roadside in Puralka, Victoria, Australia. 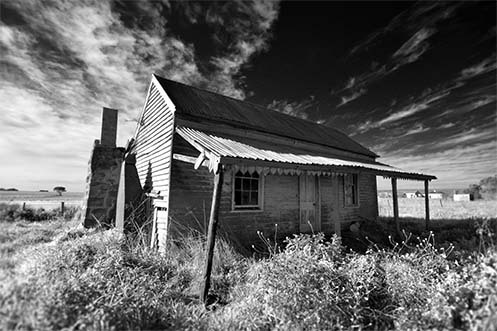 Below – “Cottage in the Vineyard” Padthaway Heritage Cottage (Front) near Bordertown, South Australia. Below – “Backdoor to the Vineyard” Padthaway Heritage Cottage (Rear) overlooking the vineyard, near Bordertown, South Australia. 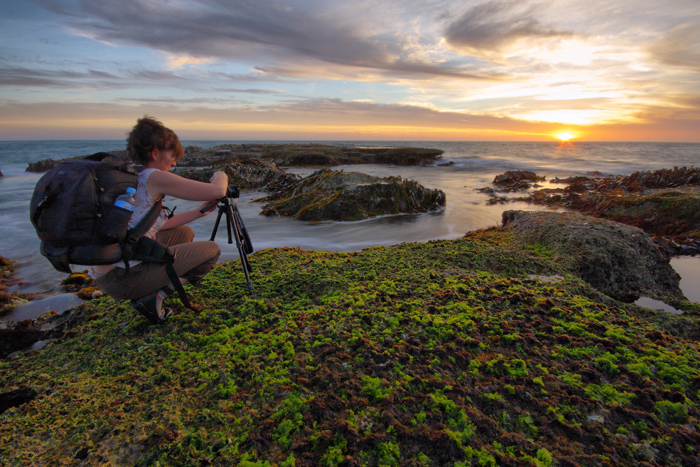 A snapshot of a fellow RedBubble photographer catching “last light” at Blairgowrie beach. 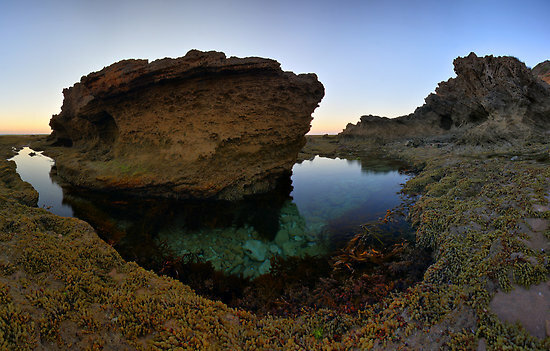 The following three images were taken on an excursion to the rock shelves of Montforts beach, in Blairgowrie. It’s an interesting place to be during the transition from high to low tide, as the water on the expansive rocky plateaus cascades over the sides on it’s return to the ocean. Whilst here it’s important to be aware of which way the tide is going and also keep an eye out for occasional large rogue waves that sweep across the shelves. Prepare to get wetter than you expected here. 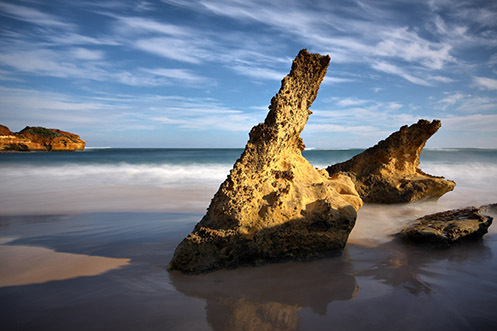 The image below was taken at the neighboring Sorrento beach. 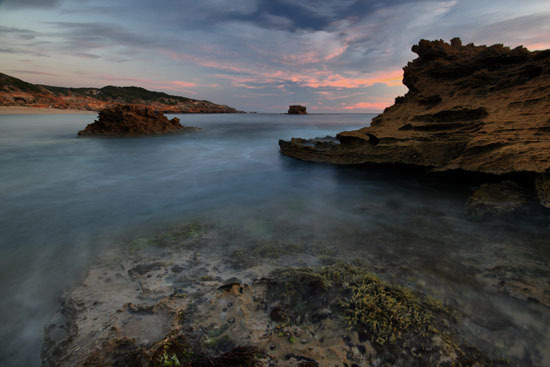 It’s a long exposure taken after sunset giving the oceans surface a deceptively calm and smooth appearance. 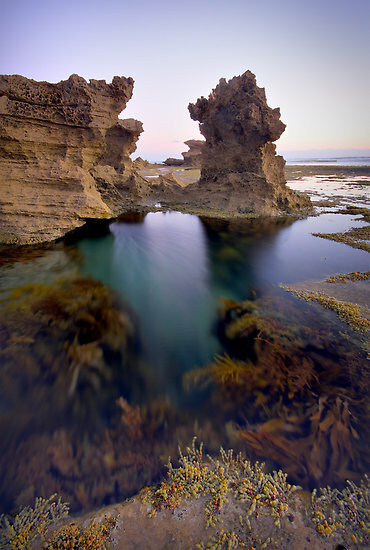 A series of long exposures taken at Sorrento beach, Australia. 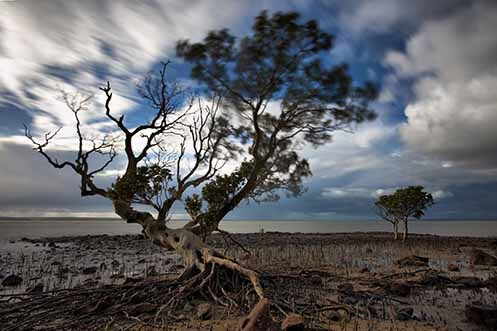 Following are 3 images taken yesterday at Ricketts Point, Beaumaris, as a storm rolled across the bay. 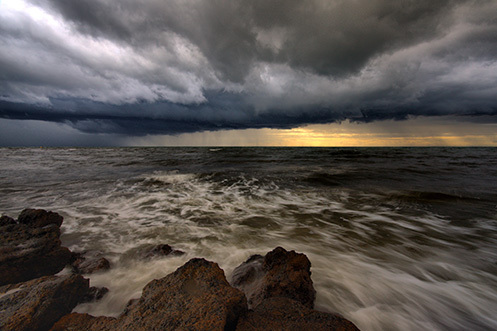 The apparent power and turbulence of the clouds in the sky is mirrored by the motion and ferocity of the water. It was an invigorating place to be. 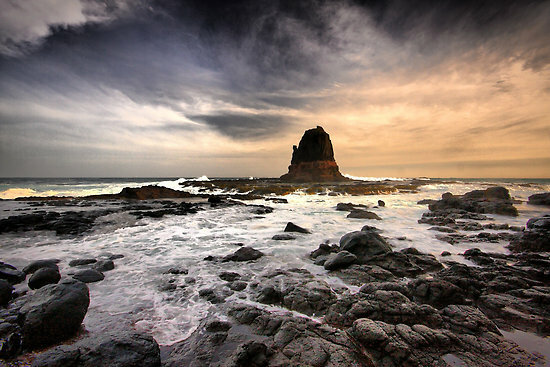 A seascape image from Cape Schanck in Victoria, Australia. 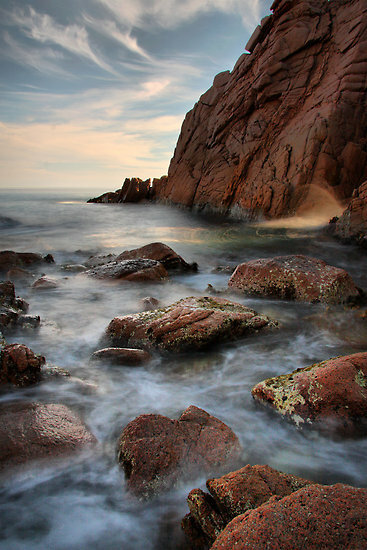 The image features the well known landmark Pulpit Rock as incoming waves rush across the surface of the surrounding rocky platforms. The Chant of the Pulpit. 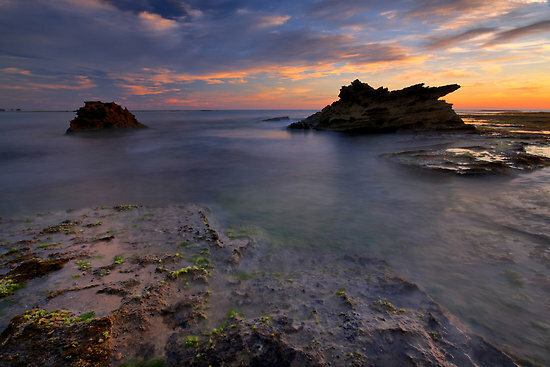 This image was taken at Beaumaris beach, Victoria, Australia. Walking along the beach at sunset was a hazardous proposition as sand was littered with the stranded bodies of hundreds of jellyfish. Poor things! This shot taken with the Lumix LX3. 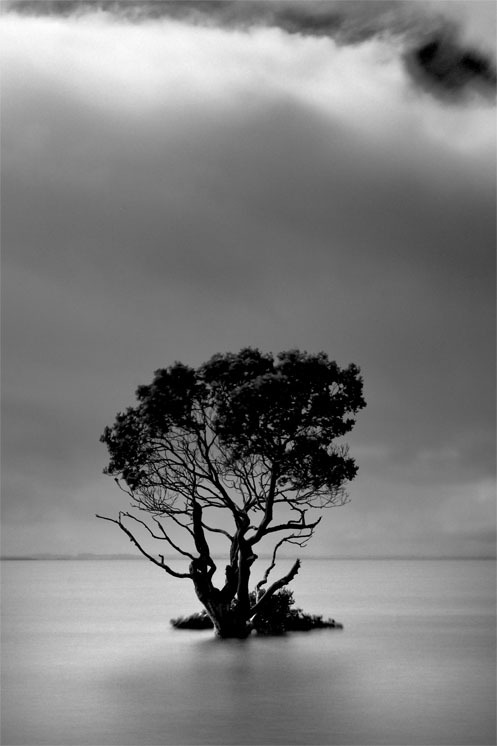 This is a reworked version of one of my first images posted to Redbubble. I’ve finally had time to tweak it the way I way I like it. 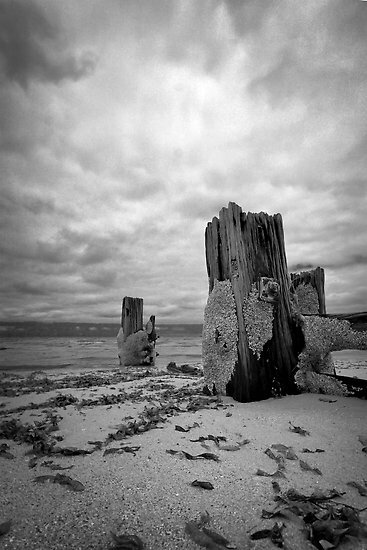 It was a taken on the beach at Blairgowrie as a storm was rolling in from the ocean. It was an amazing storm to see, …dark swirling clouds, lightning, halos formed by the sun shining through sheets of rain, ….marvelous stuff ! 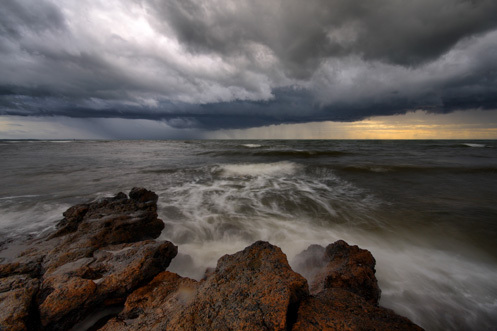 Tempest over the Ocean is available as a high quality print at my Zazzle and RedBubble websites.